Should you decide to take a knife to a marine flatworm, you may think you're watching a skilled magician's show. Slice its colorful head laterally, and within minutes it develops a corresponding number of complete heads. Slice its entire body into several pieces and a complete flatworm will develop from each piece. Regenerative tricks and multiple forms of reproduction help flatworms survive for years on end. 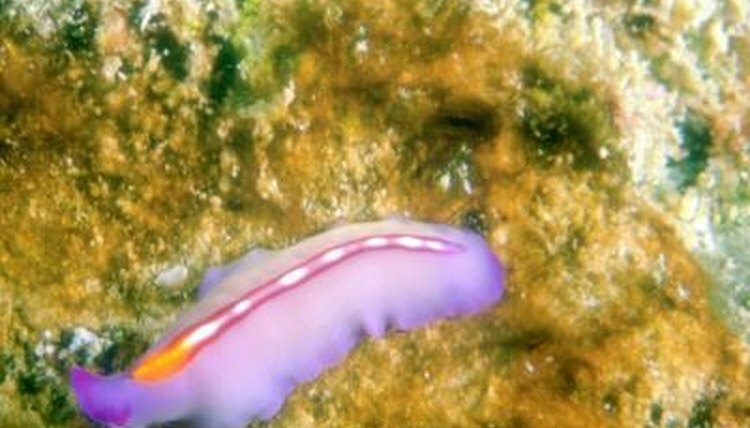 Unlike most flatworms, marine flatworms do not live inside a host but feed on tropical reefs around the world, reaching lengths of up to 6 inches. Most species can reproduce sexually by mating and depositing cocoons on underwater surfaces, and those that do so exclusively live for weeks or months. Species that reproduce asexually by dividing themselves in two every five to ten days can survive far longer and have been maintained in excess of 15 years in a laboratory setting. Predators that shorten the flatworm's life include other reef invertebrates and small fish.